According to World Health Organization, most of the world’s population depends upon plants as an important element in primary healthcare systems. Ayurveda is India’s oldest indigenous medicine system of plant drugs. It is known from for preventing or suppressing various tumors using natural drugs, one such being Moringa oleifera Lam. This plant has reported antioxidant properties for both fruits and leaves (Luqman S, Srivastava S, Kumar R, Maurya AK, Chanda D, Evid Based Complement Alternat Med 2012(December):e519084. 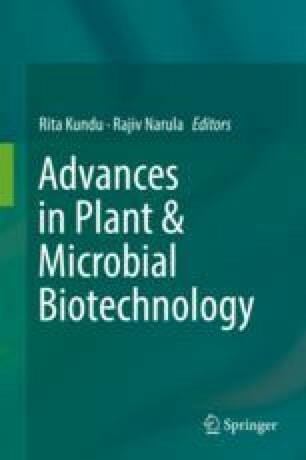 https://doi.org/10.1155/2012/519084, 2011); moreover, its extracts have exhibited anticancer properties in vitro in case of hepatocarcinoma as well as antitumor-promoting activities for skin cancer in rat models (Guevara AP, Vargas C, Sakurai H, Fujiwara Y, Hashimoto K, Maoka T, Kozuka M, Ito Y, Tokuda H, Nishino H, Mutat Res/Genet Toxicol Environ Mutagen 440(2):181–188. https://doi.org/10.1016/S1383-5718(99)00025-X, 1999). The aim of this study is to investigate the antiproliferative activity of various extracts from Moringa oleifera Lam. and isolate the active compounds. Fifteen extracts were prepared form dried leaves of Moringa oleifera Lam. using five solvent systems and three methods of extraction. In vitro screening was done using Schizosaccharomyces pombe and MCF-7 cell line. The fractionation of active crude extracts was performed by silica gel column chromatography and fractions evaluated for cytotoxicity. The aqueous, methanolic and hydromethanolic extracts exhibited cytotoxicity against MCF-7 cell line at lower concentrations compared to lymphocytes. Our findings showed the following: (a) the crude extracts of Moringa oleifera Lam. exhibited cytotoxic potential; (b) the extracts were selectively more toxic to tumor cell line compared to normal lymphocytes. (c) The crude extract showed better anti-proliferative activity compared to fraction separated. The reason could be that the compounds in crude extract have a synergistic effect resulting in better activity.